An invisible DNA mark is applied to artworks, securing the artwork’s chain of provenance and validating future identification. Along with documentation and digital imaging, collectors are provided with a hard copy certificate which complies with the ‘ObjectID’™ standard for every coded artwork. The comprehensive details of the artwork are also recorded on our Asset Management system, allowing 24 hour on-line secure access to view the collection. Using our highly secure database, we are able to assist law enforcement and other specialist agencies in the recovery of lost or stolen art. TrackArt works with Identidot Coding Services to provide industry approved forensic DNA security marking services. The concept of marking valuable property to aid the identification and recovery of stolen goods has developed from its origins as a deterrent to domestic burglary to become a sophisticated crime reduction tool employed by major companies and organisations. Insurance companies also recognize the risk mitigation factors in place. Forensic property marking represents a 'quick win' in terms of tracing and recovering stolen property. 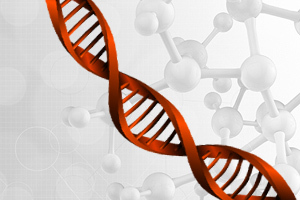 These forensic coding solutions generally consist of two elements: firstly and most significantly, is a liquid that contains an absolutely unique synthetic forensic code (similar in structure to real DNA, but created in a laboratory from sugar phosphate to form the ‘molecular’ backbone), which, upon forensic laboratory examination, will match directly to the (unique) DNA solution coded by TrackArt and registered to the legitimate owner of the item. Secondly, a UV fluorescing agent which, when illuminated with a UV lamp, indicates that the item has been marked with a forensic coding solution. This will only be applied in certain circumstances depending on the type of item being coded (for example, it would not be applied to a calligraphy work on paper). Not only does this provide an unequivocal identification of the item, it also provides irrefutable evidence for use in criminal prosecutions. TrackArt’s DNA coding markers come in two formats; both of which are insurance industry accepted for the Works of Art market: First, a colourless liquid. This is a unique chemical marker that can be applied on to almost any item, dries clear, leaving no residue and enables property to be traced back to its rightful owner. Secondly, for items where a liquid cannot be applied, for example, on watercolours, manuscripts, scrolls, etc, then there is the same unique-to-owner DNA security marker; but in powder format. A light brush with the powder on the item to be coded is enough for trace DNA to remain on the item and with it, its irrefutable link back to the owner. With every application of the DNA coding solution; be it liquid or powder, the valuable property is marked with a unique code. In the event of a theft, owners can report stolen items to police. The items are then checked on TrackArts’s database. With approval from the owner, TrackArt, through its associations with multiple law enforcement and private recovery agencies, will also upload details of the stolen items on global databases, thereby increasing the chances of successful identification. Upon recovery, the police are able to easily establish ownership thanks to the identifying code and the items can then be reunited with their rightful owners.